What kind of character is it? What is his/her personality like? What do you think of the slippers? What is the wolf thinking as it looks in the mirror? 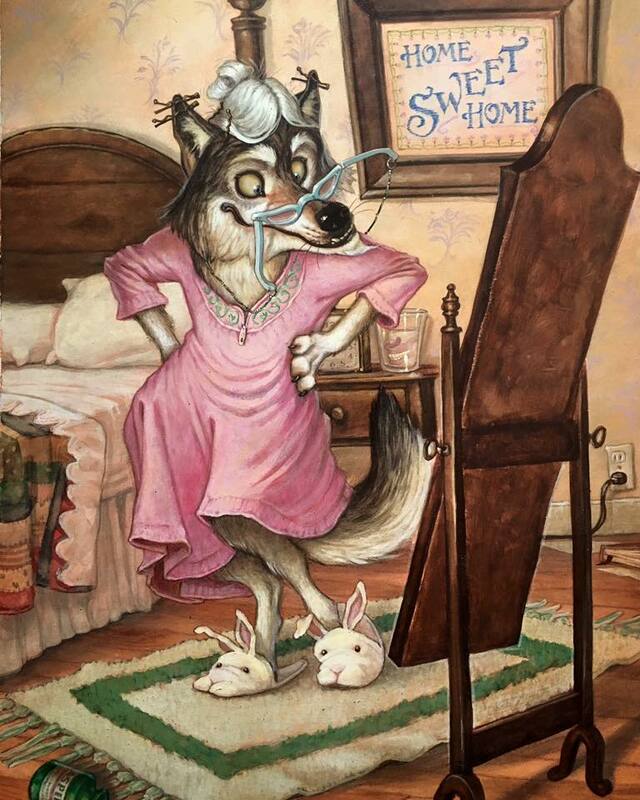 Is this the wolf’s ‘home sweet home’? Whose are the teeth on the bedside table? What is the bottle on the floor? What do you think of the title for the image – ‘Wolf Von Big Baden’ – ? What does that mean?